After bonus issue, TOPGLOVE have been retrace down from RM7.38 to RM5.50. Will it future retrace down??? 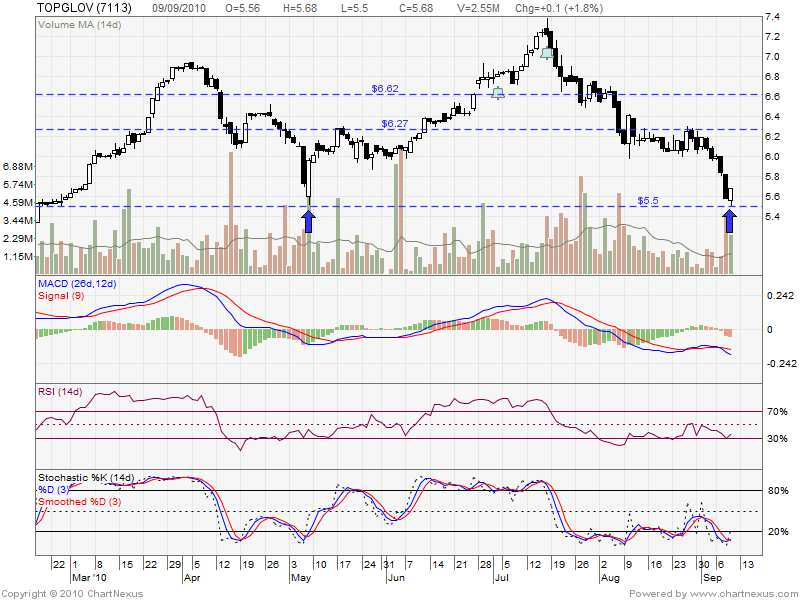 From Technical Analysis, RM5.50 is a strong support level. 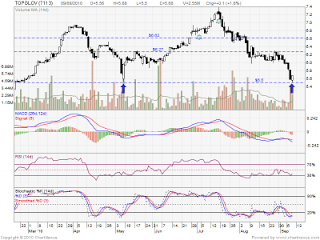 On 7 May 2010, it was retrace down from RM6.90 till RM5.50 & formed a bullish reversal.